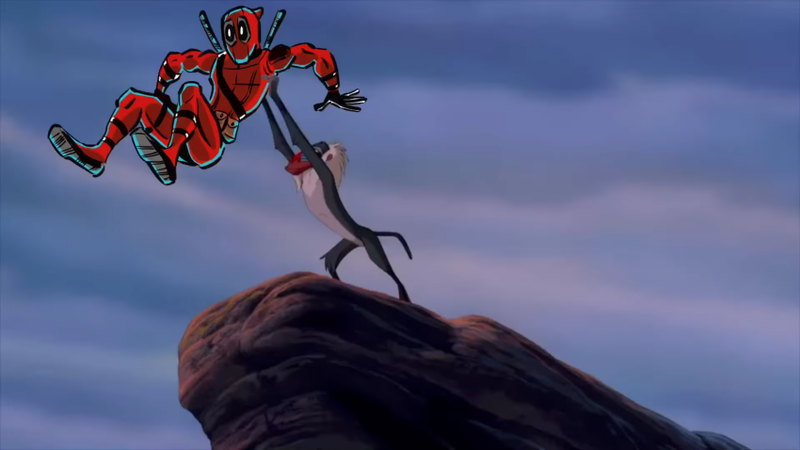 Some Deadpool fans might still be licking their wounds in the wake of tonight’s Oscars (the movie did get snubbed, after all), so here’s a little something to ease the hurt. After all, Disney is the the place where dreams begin. Animator Butch Hartman, the guy behind Fairly Oddparents, has turned his attention to foul-mouthed superhero Wade Wilson, adding him to classic Disney cartoons and movies. You can see Deadpool chilling with Jasmine on a magic carpet, lifting up a bunch of girls Gaston-style, or even replacing Mickey Mouse as the Steamboat Captain. Hartman’s YouTube is full of fun animated treasures like this one, including sketches imagining what Danny Phantom would look like 10 years in the future, and several videos that turn characters from various shows and games (like Overwatch) into Fairly Oddparents. This is his first, though hopefully not last, foray into L’Art du Deadpool. In the YouTube comments, Hartman’s currently taking suggestions for which “universe” Deadpool should invade next. If you have any ideas, definitely head over there and share your thoughts. My money’s on classic ‘90s anime like Sailor Moon, One Piece, or Cowboy Bebop. That’d be amazing.